Friday June 1st was a memorable day in the lives of two LPS athletes who were selected to carry the olympic torch. 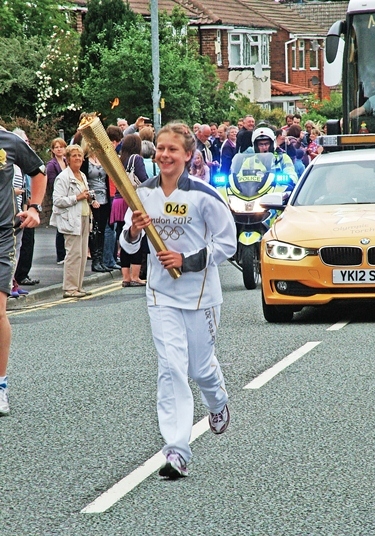 Thirteen year old, Anna Hulme, ran the second stage of the relay through the streets of Ormskirk, whilst twenty year old Toria Swift carried the torch through Burscough. The LPS flag flew high over Crosby beach as the torch was carried along the promenade in front of which 5800 school children broke the world record in forming the Olympic Rings on the beach.